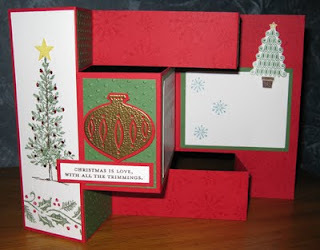 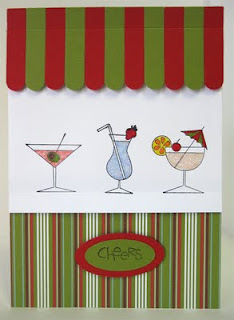 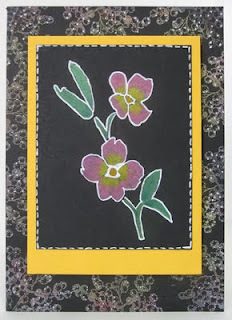 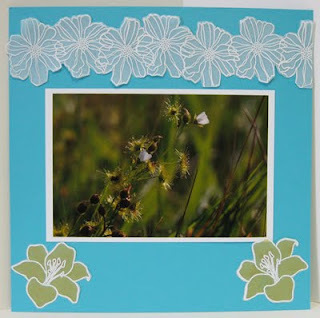 I learned the technique in one of Helen's fabulous card making classes, and I've since found a tutorial online by Emma Fewkes. 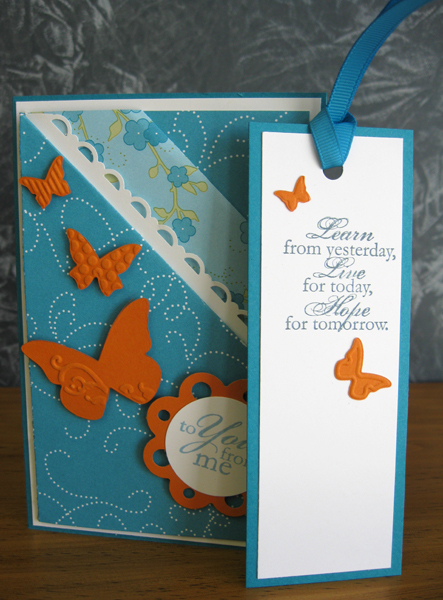 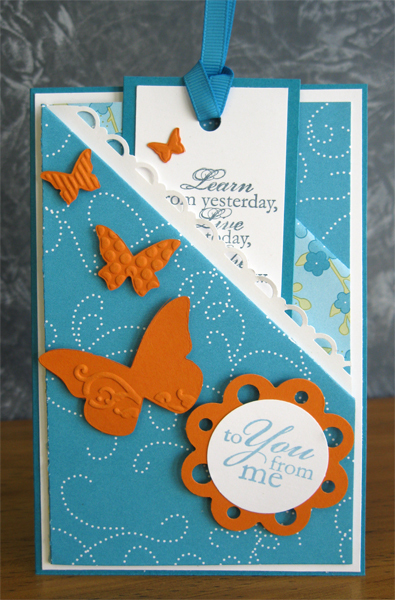 The butterfly was created using the Beautiful Butterflies die in the Big Shot die cutting machine, which was then put into Stampin Up's Finial Press embossing folder and put through the Big Shot again to emboss it. 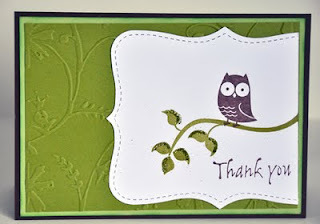 Thank you to everyone who visited our stall at the SA Papercraft Fair last Sunday, and thank you for the kind comments on my cards on display. Today's card is one that was on display, and is called a Center Stair Step Card. 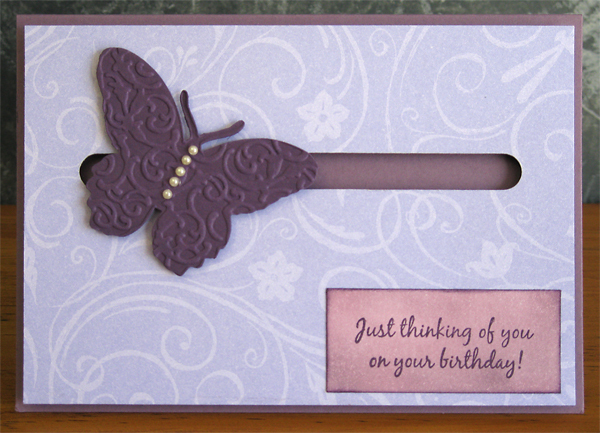 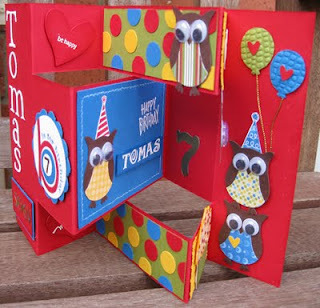 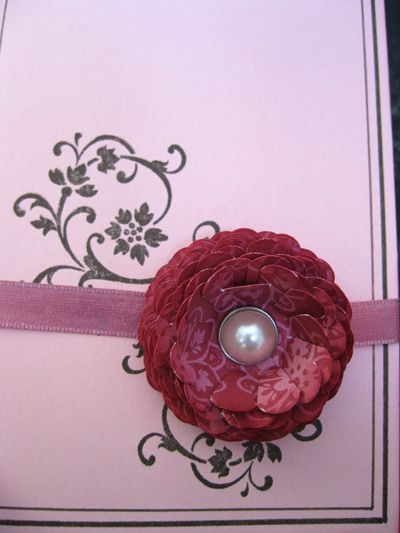 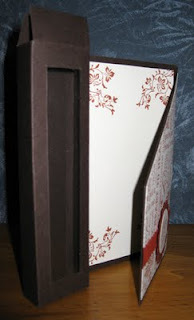 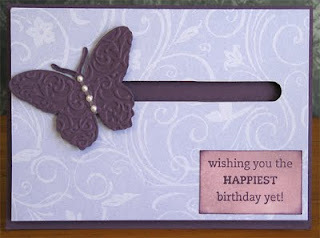 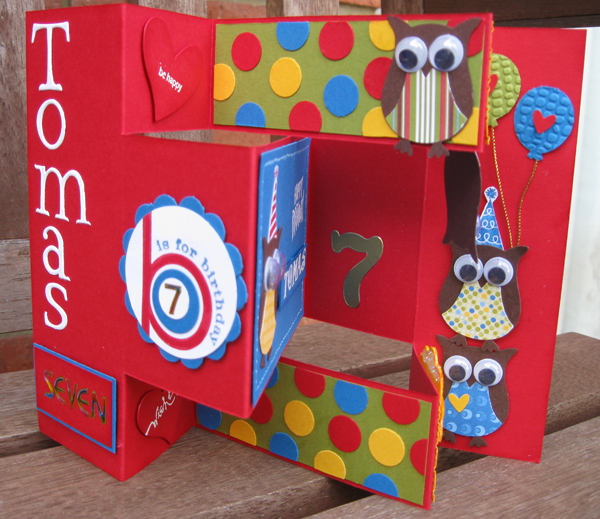 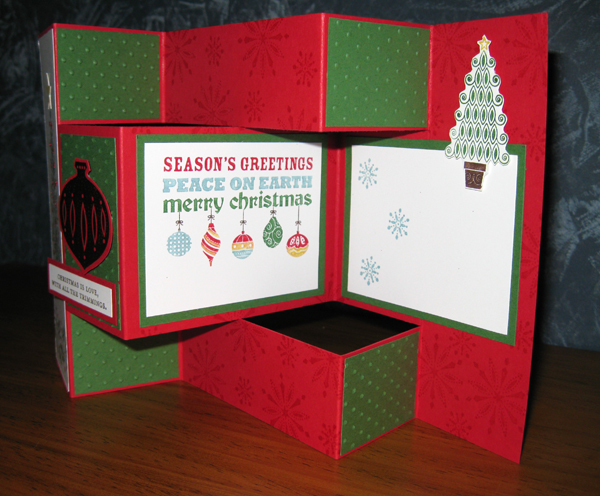 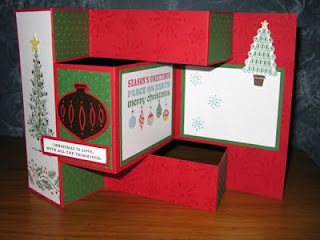 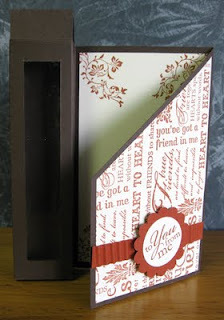 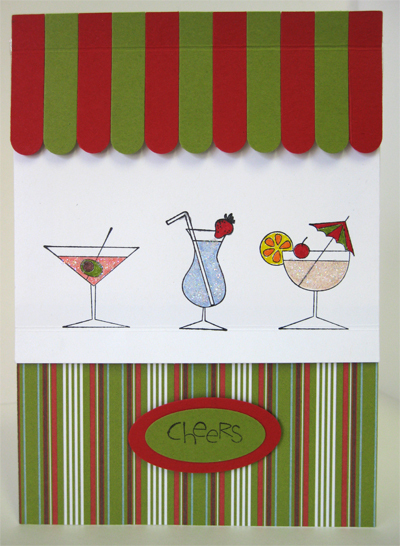 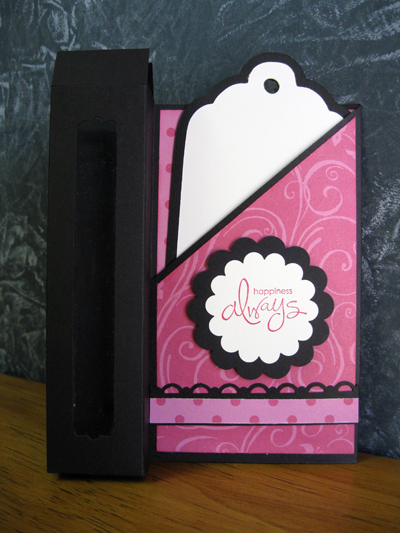 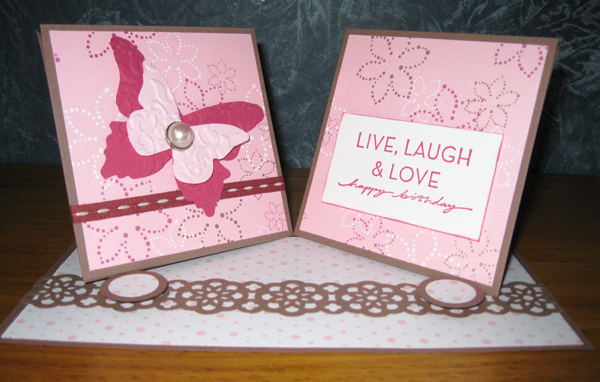 It's easy to make the actual card base, and then you can decorate it to suit the occasion. 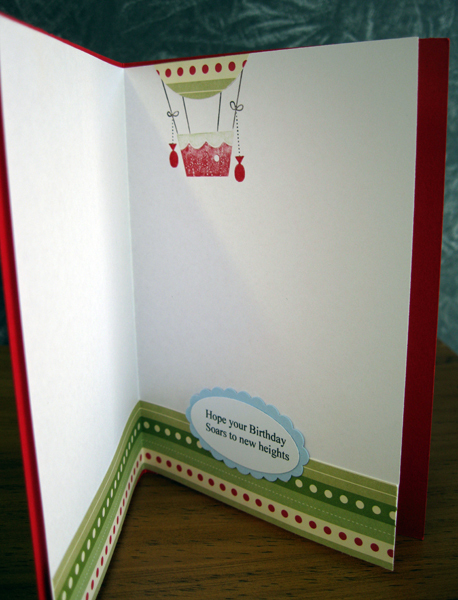 This one would be suitable for a man's birthday or for Father's Day. 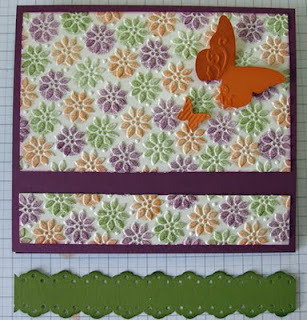 I'm teaching this card at a few classes this month, so if you are in the Adelaide area and would like to make this card, please let me know by leaving a comment below. 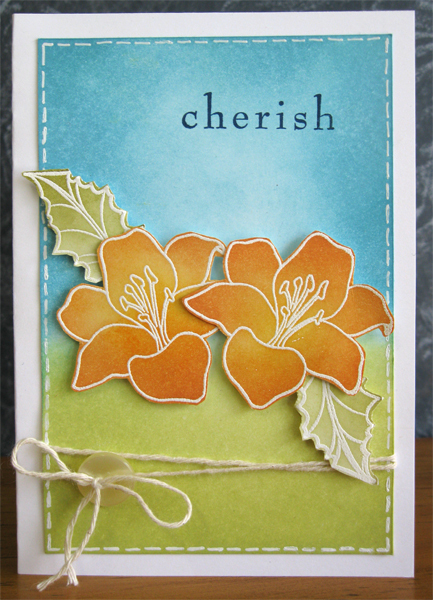 Ever since I saw Darlene's video on making the distress ink look using Stampin Up die based inks, I thought I must try that myself. I've been going to card making classes where they often use distress inks, but I didn't think of trying the technique with Stampin Up inks. 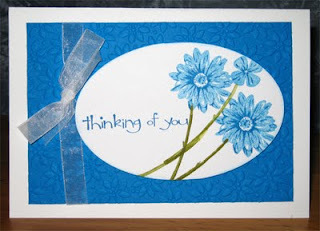 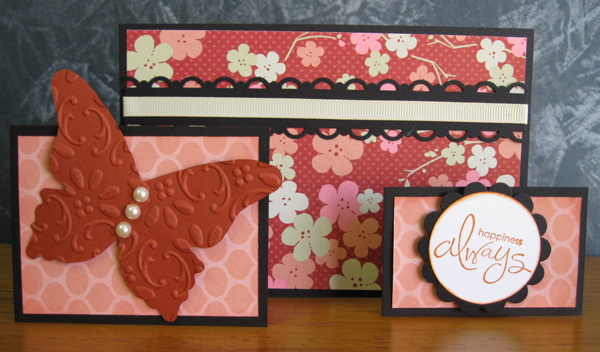 This card uses one of my favourite stamp sets, Fifth Avenue Floral for the flowers. 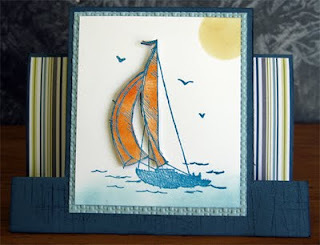 The background is created on a piece of Whisper White cardstock and uses Not Quite Navy and Old Olive inks applied with foam applicator tools. 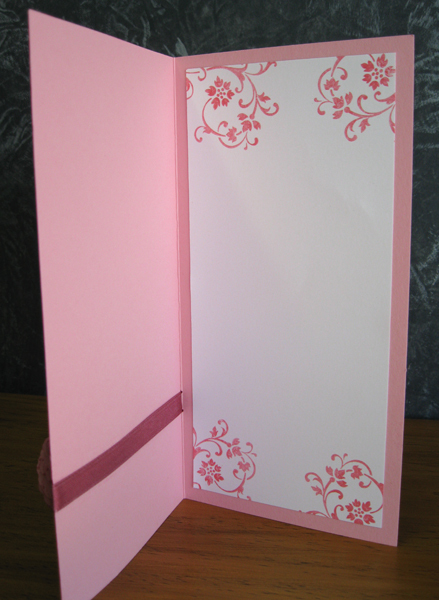 The flowers and leaves were stamped onto another piece of Whisper White cardstock with Versamark, and embossed with white embossing powder. 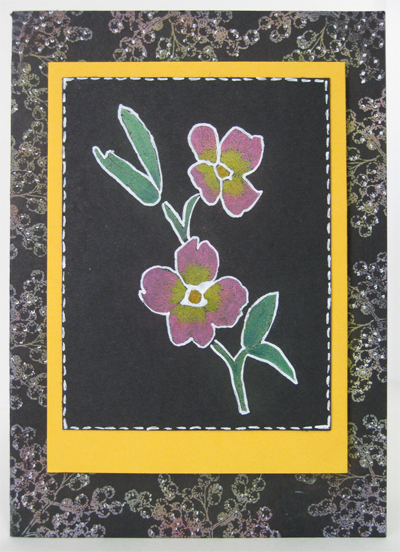 Then the flowers were coloured using So Saffron and Pumpkin Pie ink and the leaves with Old Olive. The leaves are from a non-Stampin Up set. 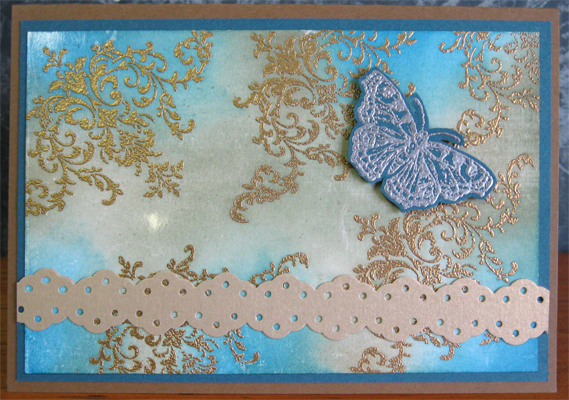 Once everything was dry I stamped the greeting from the Baroque Motifs set using Not Quite Navy and then drew stitching around the edges with the white gel pen. I'm quite happy with the way this card turned out, and will be using this technique more often in the future. 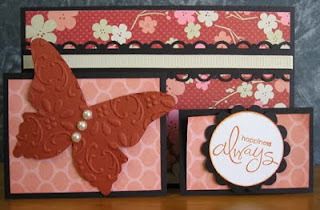 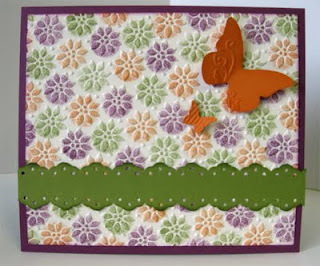 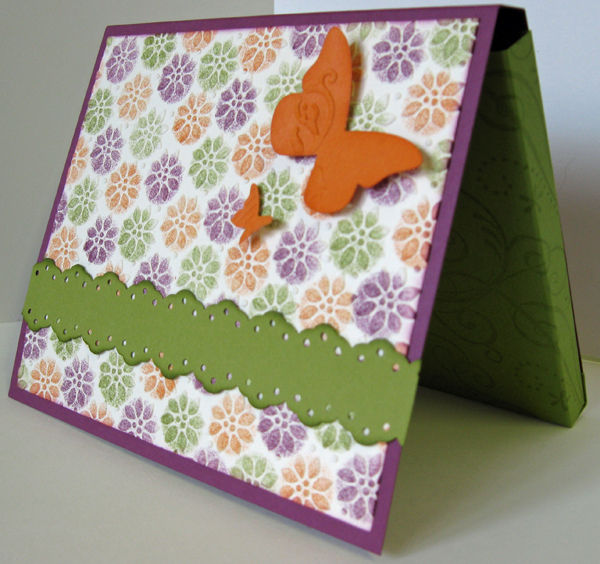 Today's card uses the lovely All a Flutter butterfly stamp, which unfortunately is not in the new 2011-12 Stampin Up Idea Book and Catalogue. 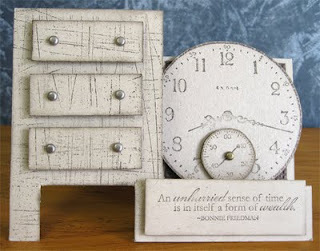 So it will be "retired" at the end of this month. 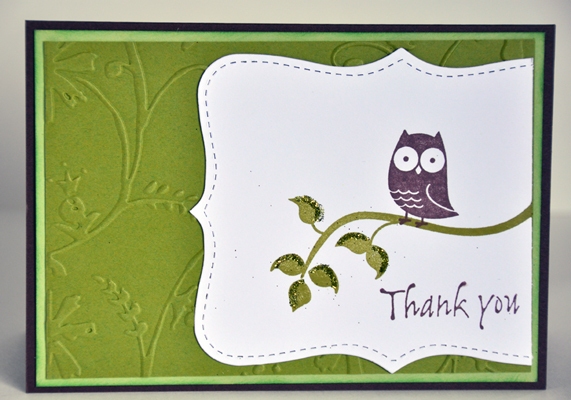 I'm going to miss this one, as I've used it so many times. The background is created by stamping a music stamp repeatedly on the panel, which is sponged to give it a distressed look. The middle butterfly has been stamped twice - once on the background and again on a scrap piece of paper and cut out, coloured and layered on top of the background image. 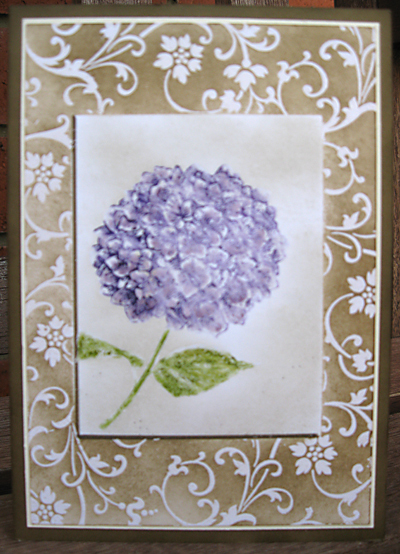 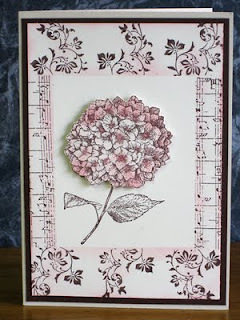 Today's card is another one using the Hydrangea stamp from the Because I Care stamp set. This set is one of the free stamp sets you can get for hosting a workshop/party (whether it be in the home or a catalogue party) or for placing an order of at least $300. 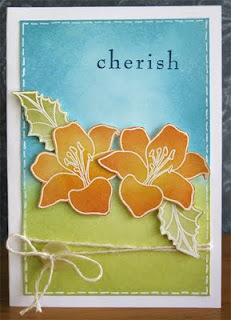 It's also on the Last Chance List as it will be retiring at the end of August 2011. 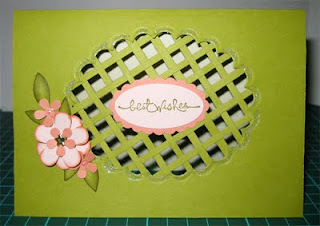 This card uses some basic masking and sponging techniques to add colour. 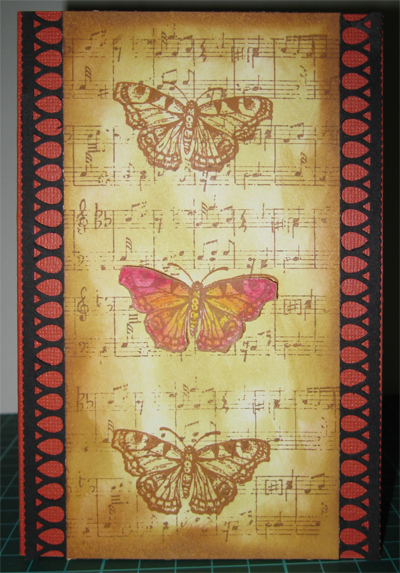 The swirly vine is from the Vintage Vogue stamp set and the music stamp is not by Stampin Up. 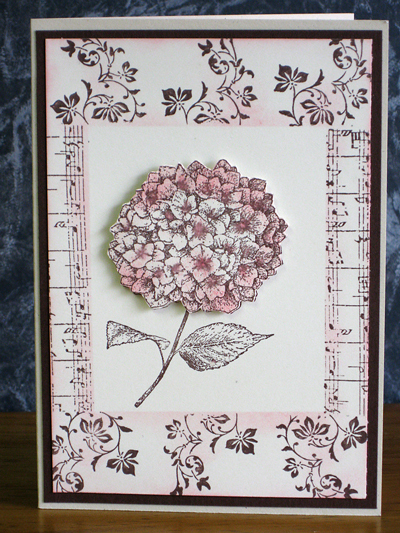 I love the hydrangea flower in the hostess set Because I Care, because it can be coloured in different ways to give different effects. 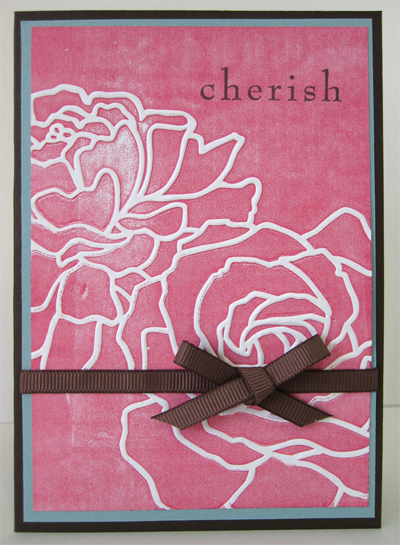 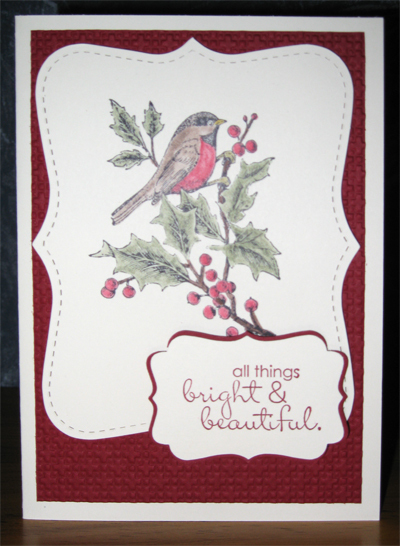 This card is by guest artist Tamara Conroy, and uses a Double Embossing technique. 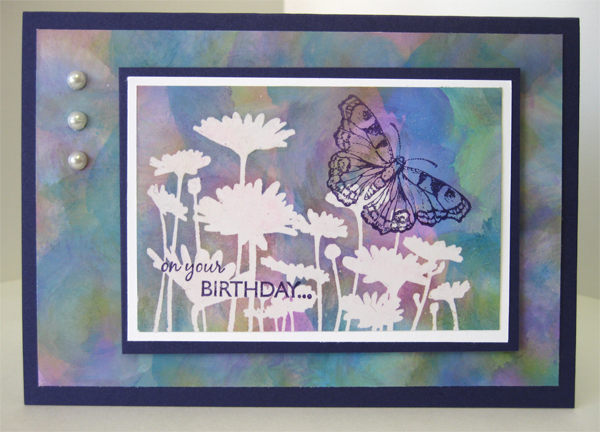 I also love how she has created the background using the flourish stamp from the Elements of Style set, which she has stamped with Versamark, embossed with white embossing powder, and sponged with Soft Suede ink. 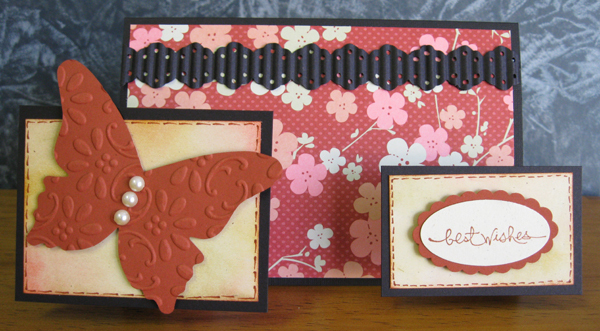 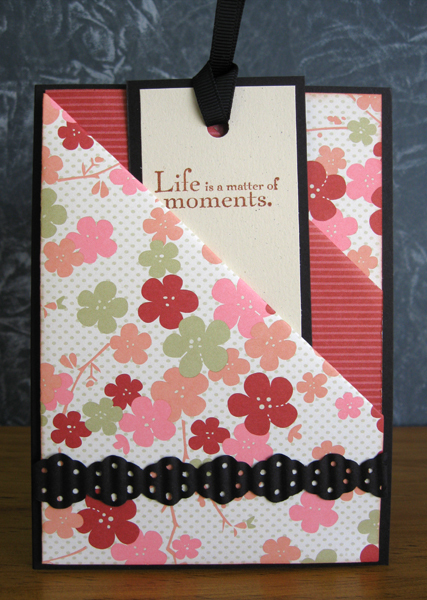 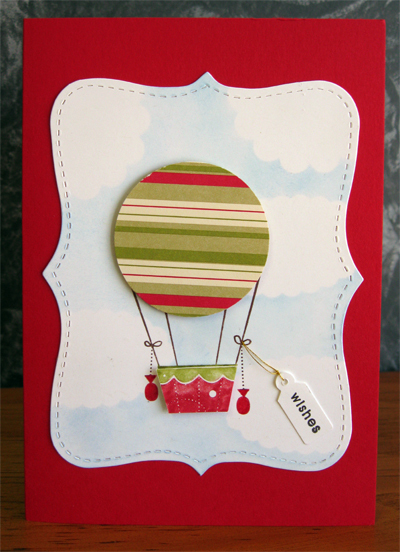 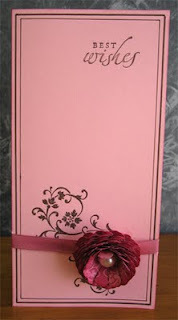 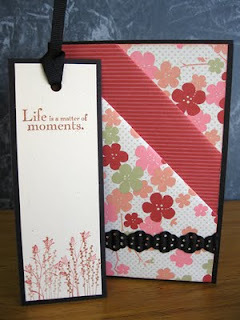 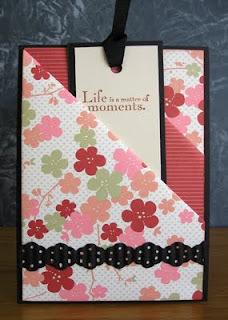 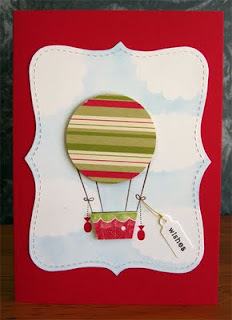 Because I Care is a hostess stamp set in the current Idea Book and Catalogue, which finishes at the end of this month. Well, it's that time of year again, when we say goodbye to some stamps and accessories to make way for some gorgeous new ones. 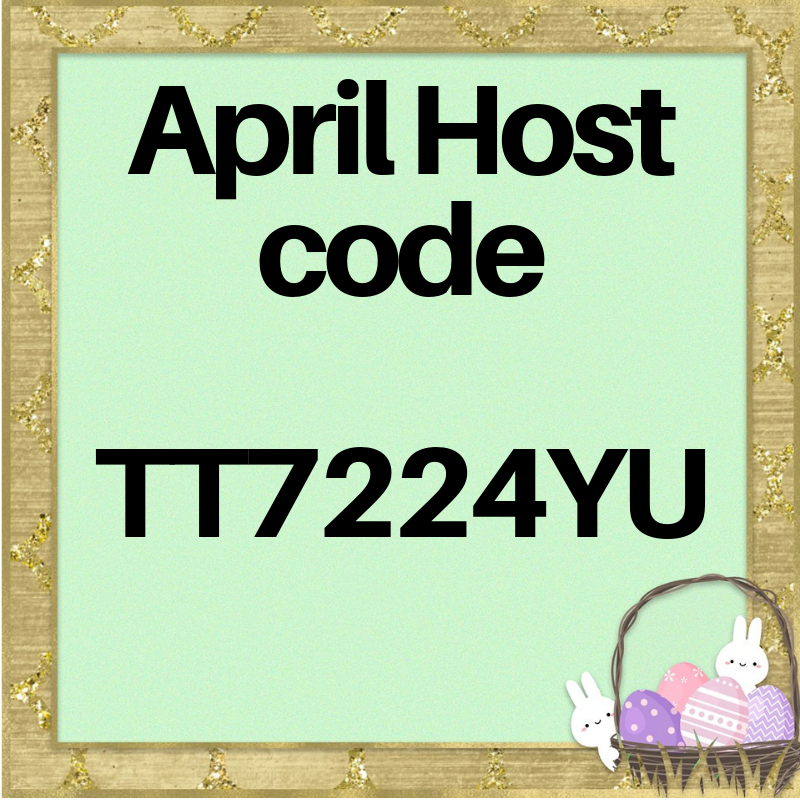 You can download the list HERE. 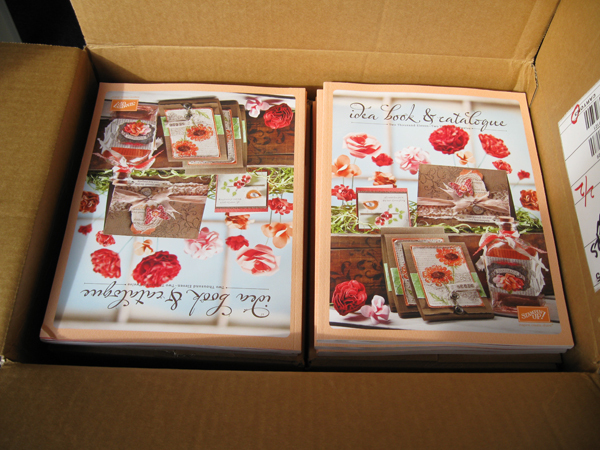 You will need to have the catalogue handy and refer to the page numbers to see which stamps and accessories are going. 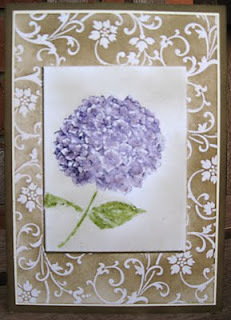 Some that I have that are going are: Sanded (background), Eastern Blooms, Sense of Time, Garden Whimsy and Priceless. 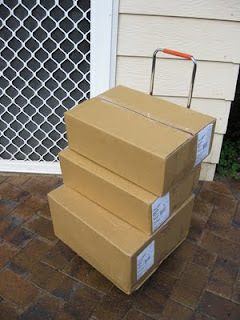 Some items are discounted by up to 40%, so you'd better be quick as they will be while stocks last. Email me to place your order.